Congratulations! 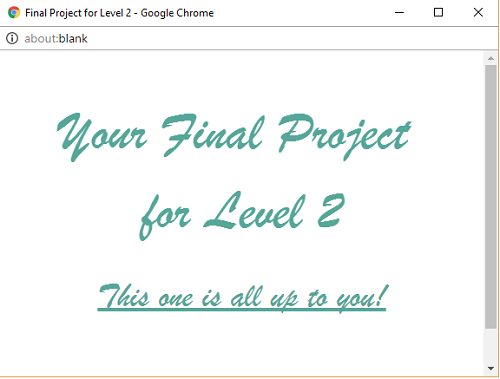 You covered a lot of ground as you made your way through the Level 2 projects. Now it's your opportunity to bring together what you have learned and create a responsive website of your own design that can be added to the Showcase. Create a website of your own design using the navigation menu and work in as many features as you can. Take as much time as you need. You can work on this at home as well.